Left, below left and belkow right: St David's House, West of England School, Exeter. Right: Perspective of extension to Further Education Department, West of England School, Exeter. 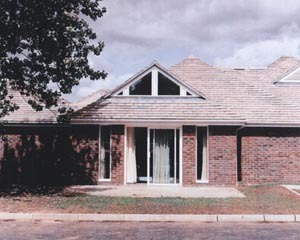 Below left: Perspective of extension to St David's House, West of England School, Exeter. 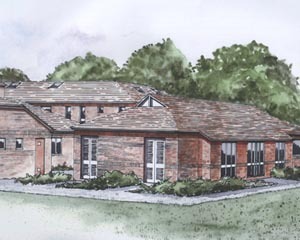 Below right: Sketch of Membury Primary School, Membury near Axminster (toilet alterations). Site by mklink.com 2005. Site best viewed at 1024 x 768 pixels.